House prices in Birmingham have increased by 10 per cent annually, outpacing most of the West Midlands, though falling even further behind London. New research shows the average house price in the city soared to £181,440 in the first quarter, up by a tenth in 12 months, according to building society Nationwide. However, London house prices have leapt by 18.2 per cent annually, widening the gap between property values in the capital and those in the rest of the UK to the largest levels on record. The 10 per cent growth compares to two per cent in Coventry, seven per cent in Staffordshire and Warwickshire and 11 per cent in Worcestershire. The country-wide data shows cities – largely to the east – are dominating growth. Manchester leads the way with 18 per cent growth, while there was a 14 per cent rise in Brighton, 14 per cent in Cambridge and 13 per cent in Oxford. 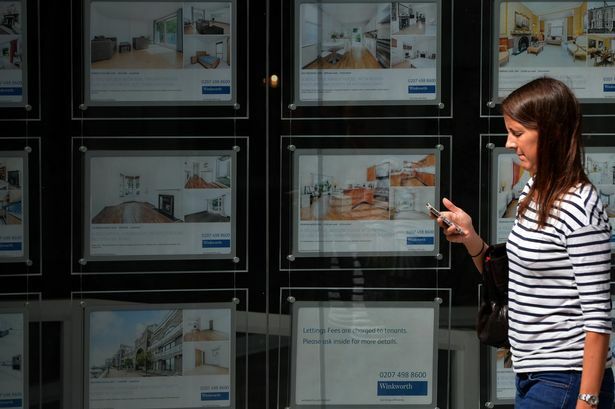 Across the UK, prices rose by 9.5 per cent year-on-year, which is the biggest jump in almost four years and takes the typical property value to £180,264, amid signs that the upturn in the market is gaining momentum across the country, the report for March said. Mark Evans, a partner at Knight Frank in Birmingham, said the Help To Buy scheme – which helps people without a large deposit to buy homes – has brought some confidence back to buyers and the buy-to-let market. He believes there is “massive under-supply” in the city centre driving prices up. He said: “There has been a major step change. It is easy to get carried away with it, but the change in a short period of time has been incredible. The demands that we are seeing for residential accommodation in Birmingham has fundamentally changed in the last six months. The data shows Warwickshire has the region’s most expensive homes, at an average of £209,672, but price growth has slowed to seven per cent. The cheapest homes are in Staffordshire, where the average price is £166,591, which also recorded seven per cent annual rises. Property values rose by 0.4 per cent on the previous month across the country but are still around three per cent below their 2007 peak. But the southern regions in particular are continuing to record “the most rapid” gains in property values, the report said. The annual rate of price growth in London is the strongest seen since 2003, Nationwide said. The typical house price in the capital is £362,699 – 20 per cent higher than its 2007 peak. Robert Gardner, Nationwide’s chief economist, said: “The gap between house prices in London and the rest of the UK is the widest it’s ever been, both in cash and percentage terms. “Overall, the southern regions have been outperforming for some time, with the result that house prices in London, the outer metropolitan and outer South East have now surpassed their pre-crisis peaks. Among England’s major towns and cities, Manchester was found to be the strongest performer, with house prices up by 18 per cent annually to £211,748 on average. Sunderland was the weakest-performing, with prices edging up by one per cent to £139,772 typically.